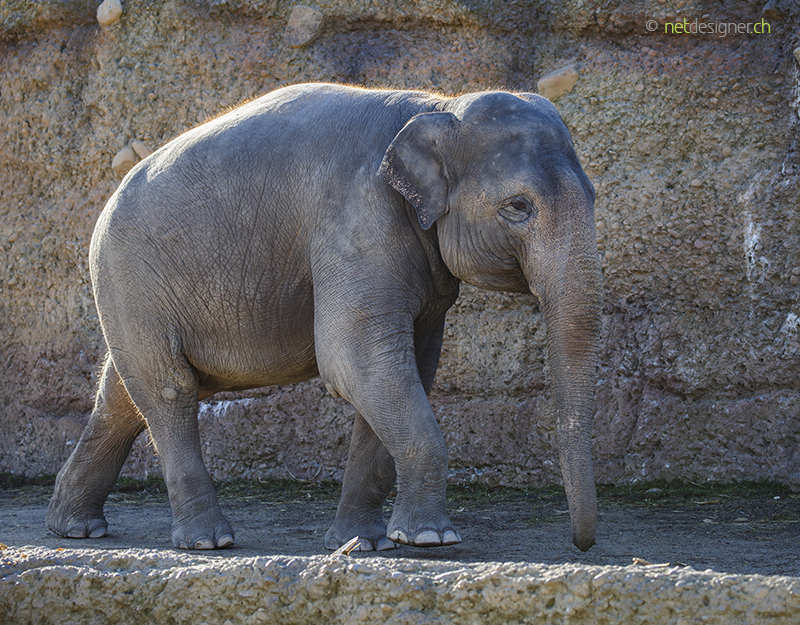 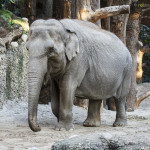 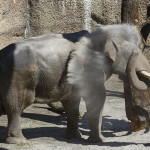 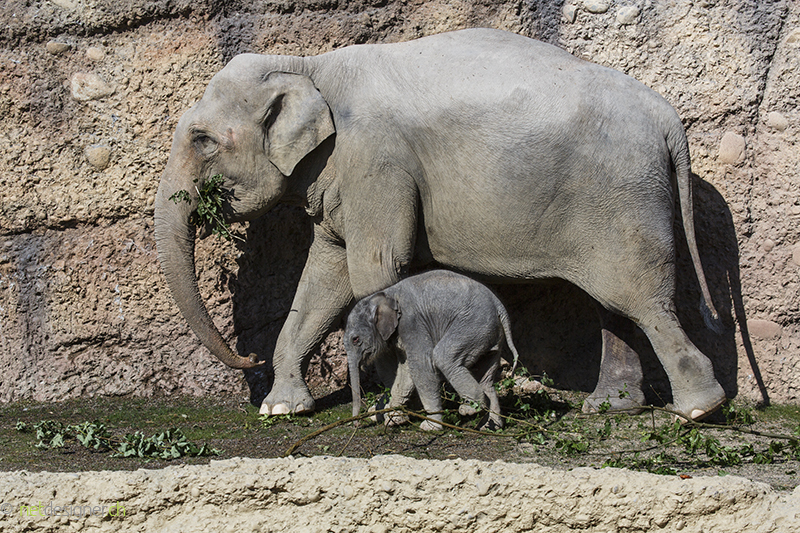 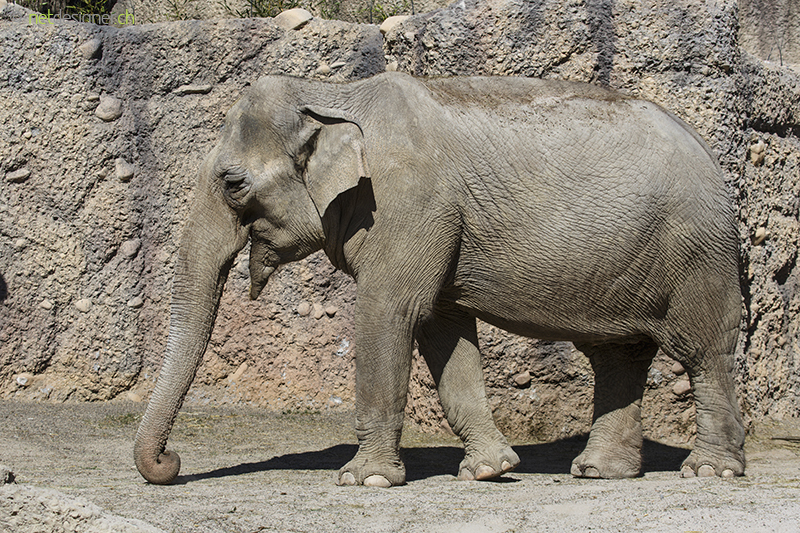 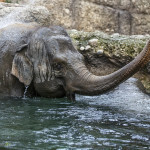 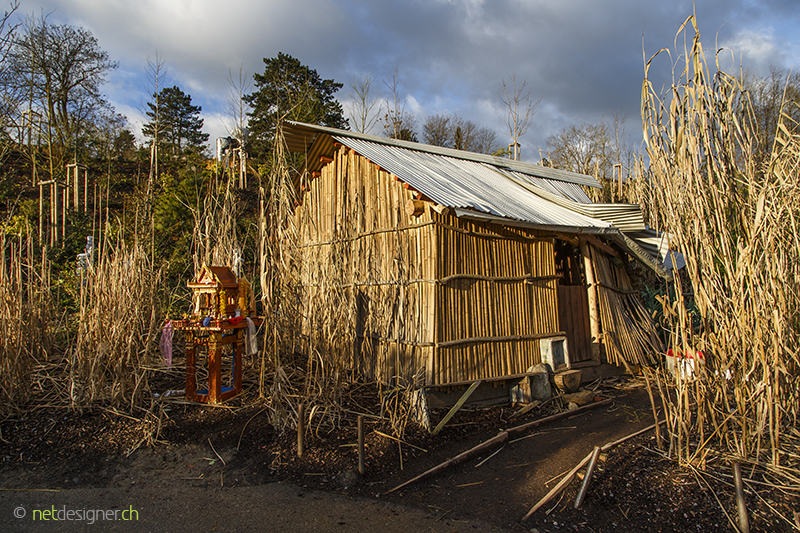 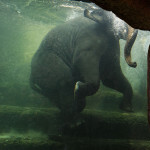 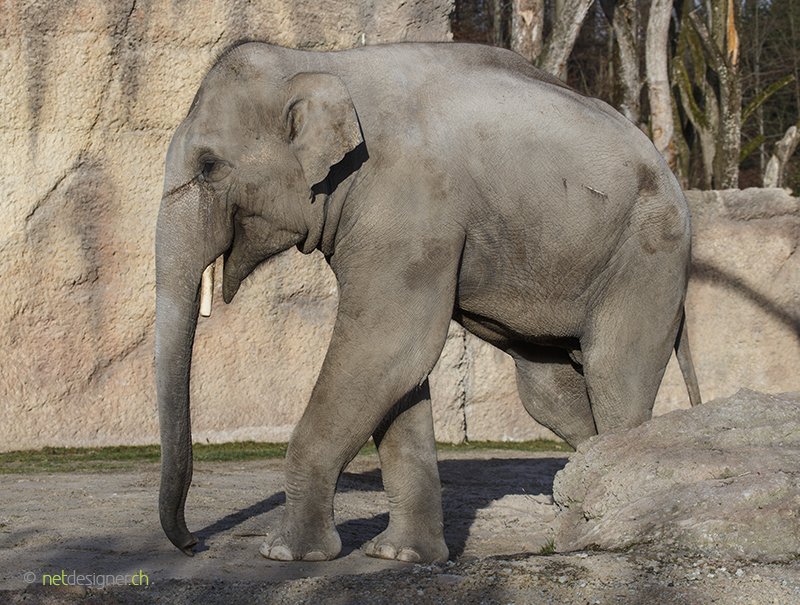 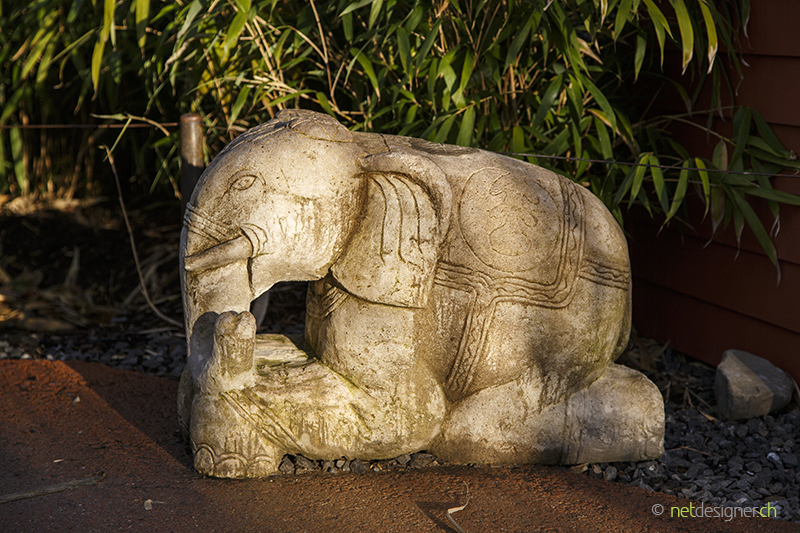 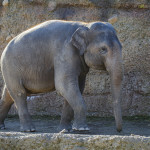 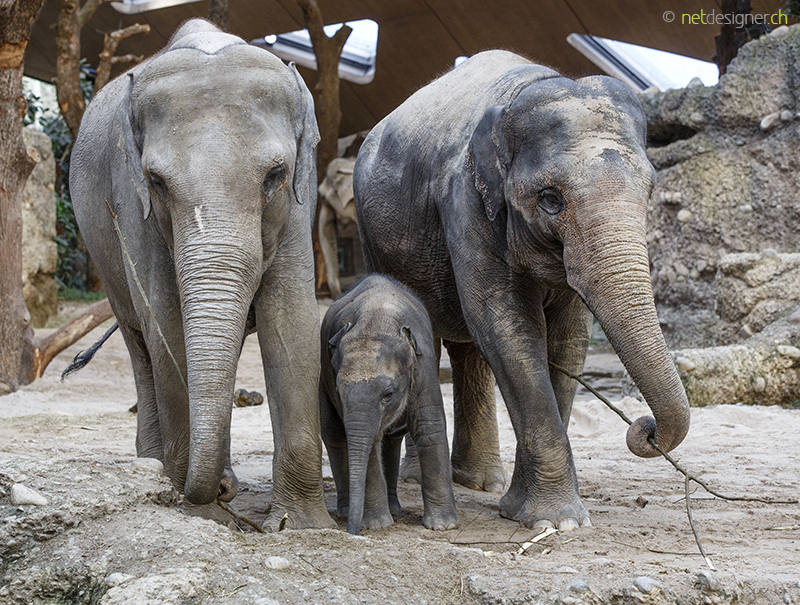 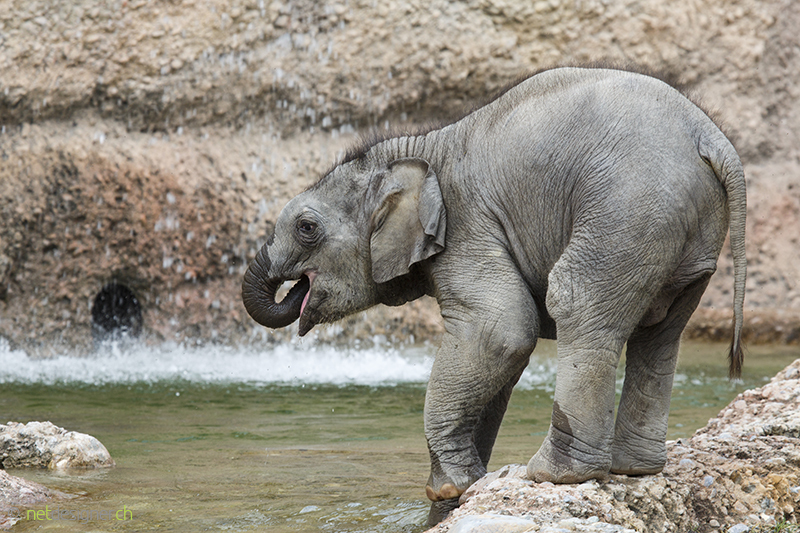 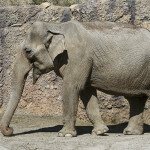 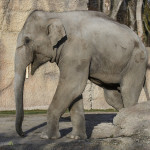 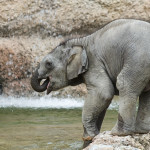 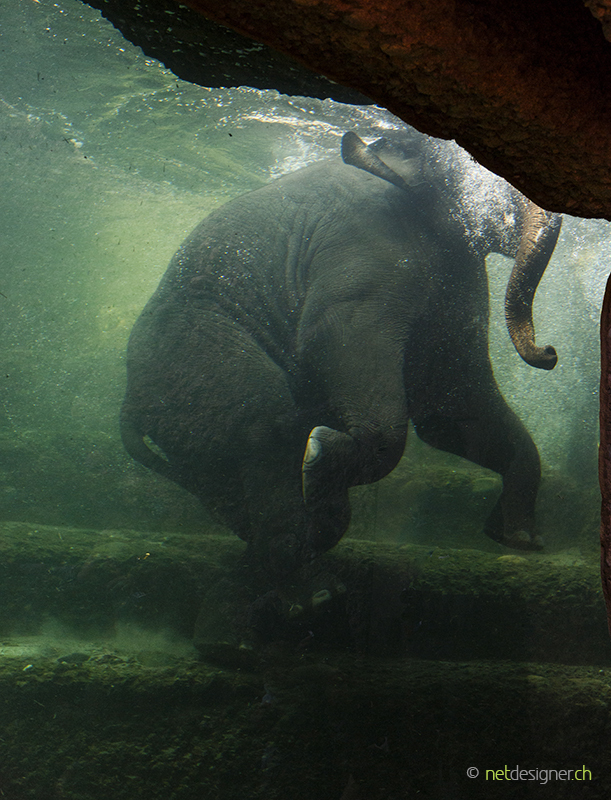 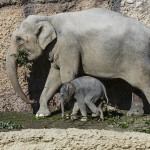 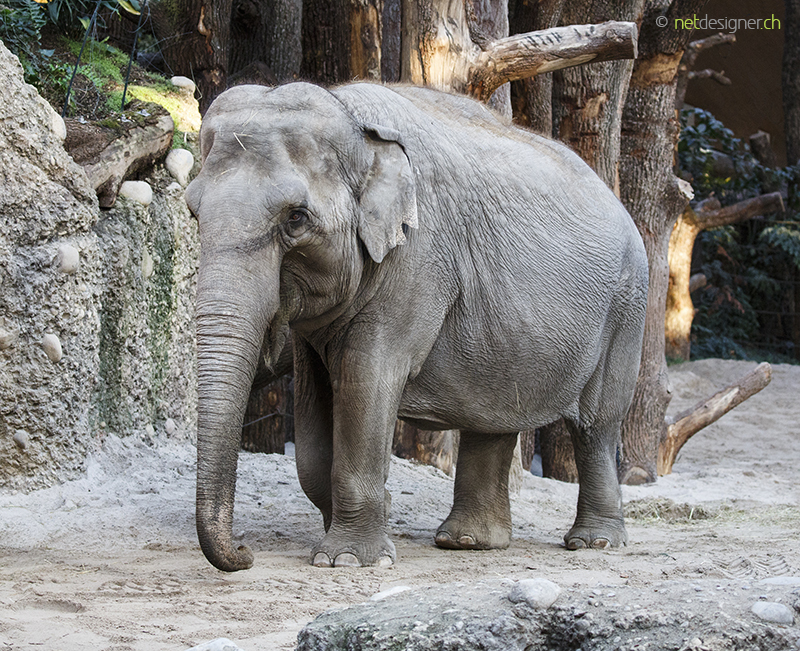 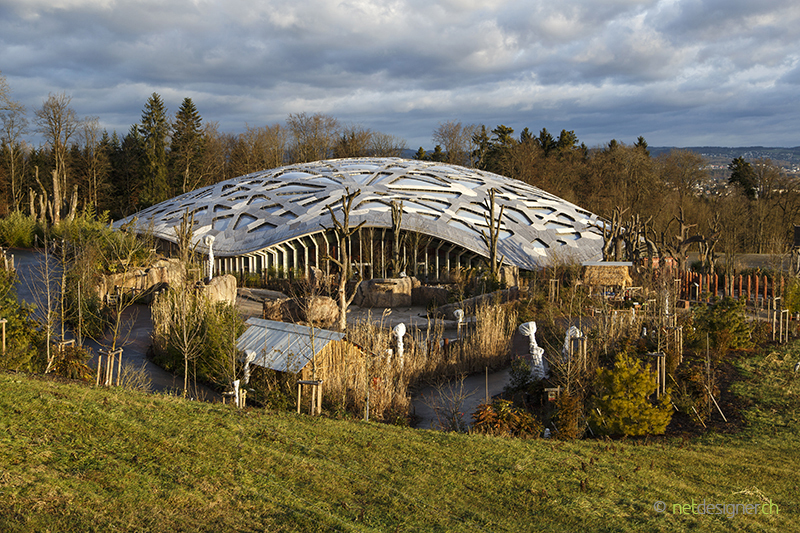 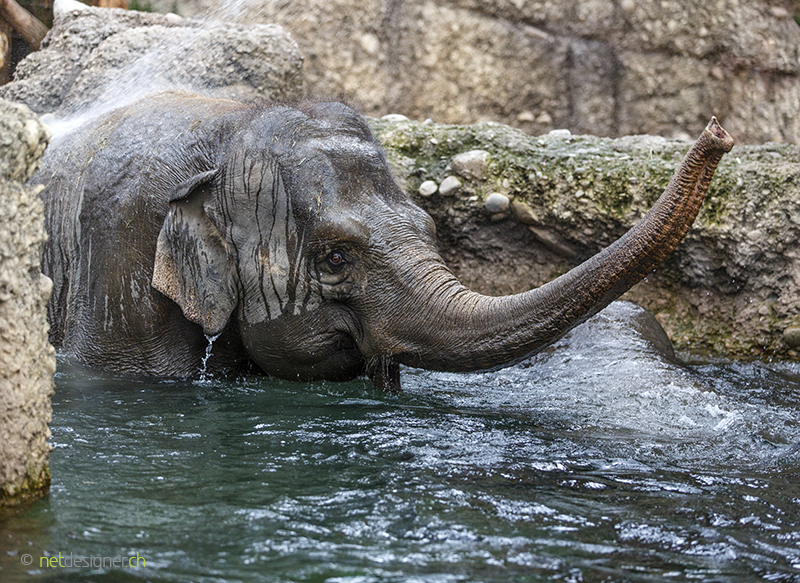 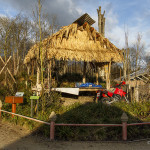 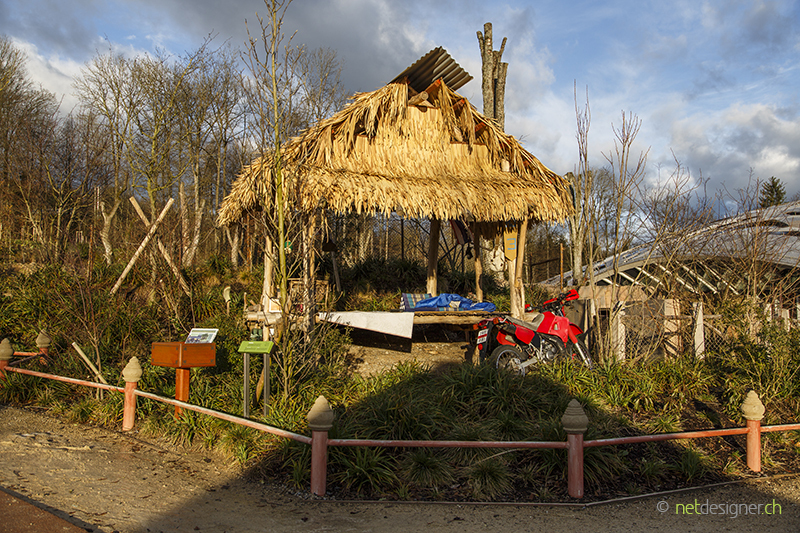 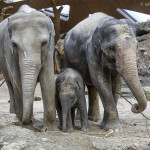 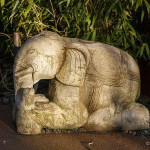 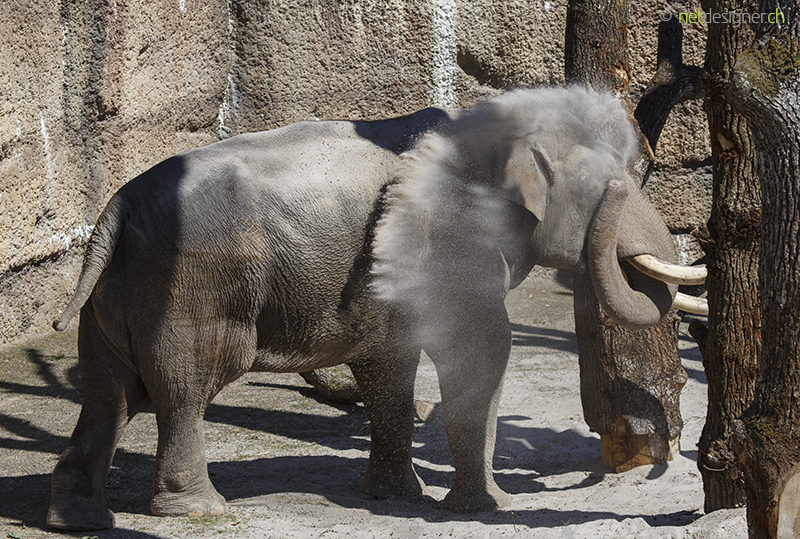 The Kaeng Krachan Elephant Park at Zoo Zurich is an extra-large construction project. 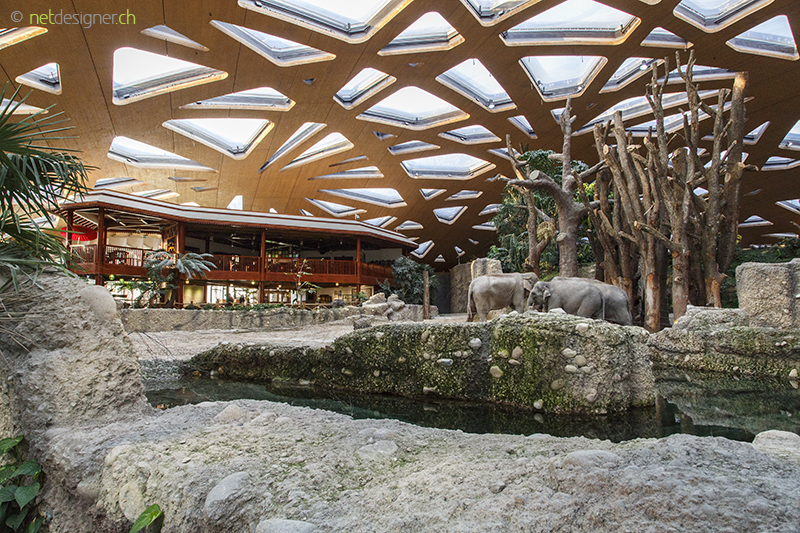 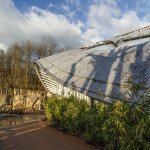 The big curved roof of the elephant house is particularly eye-catching. 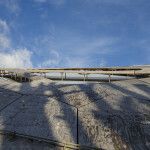 Its construction required millimetric precision. 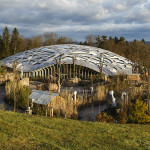 Great emphasis was placed on sustainability during the construction of the compound. 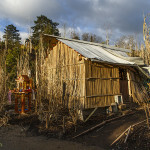 The main building material was wood. 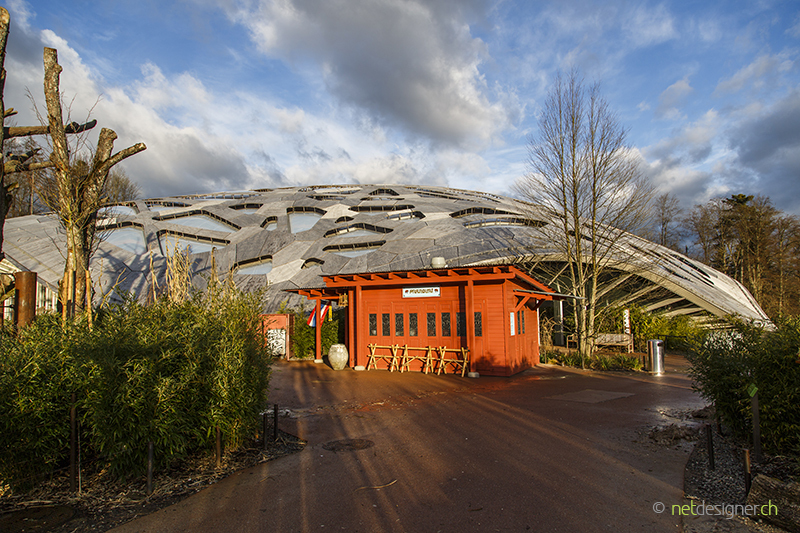 Heating is provided via a district heating network using the central woodchip heating system at Zoo Zurich. 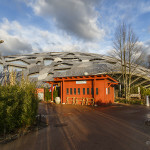 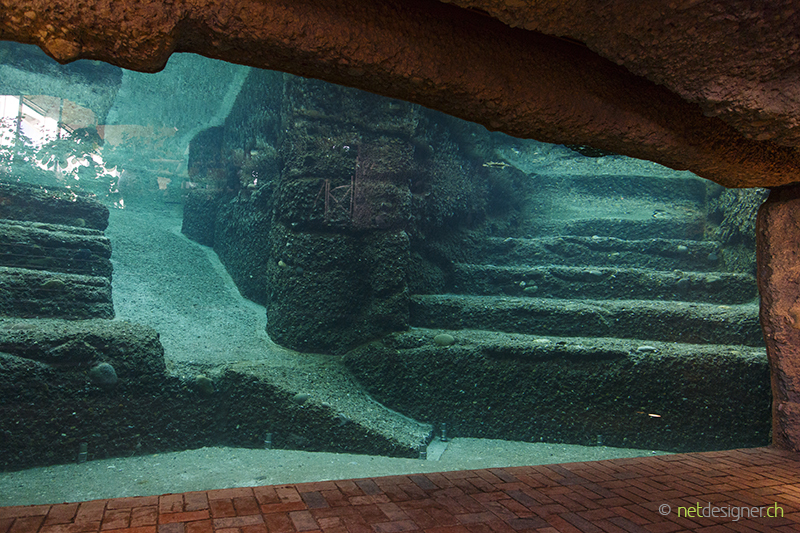 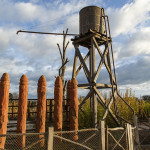 Rainwater is collected from the roof, which measures 6,800 square metres. 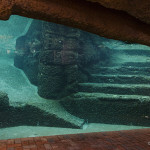 The water is then used for watering the ground, for moistening the sand, for removing dust from the plants and supplying the pool maintenance equipment. 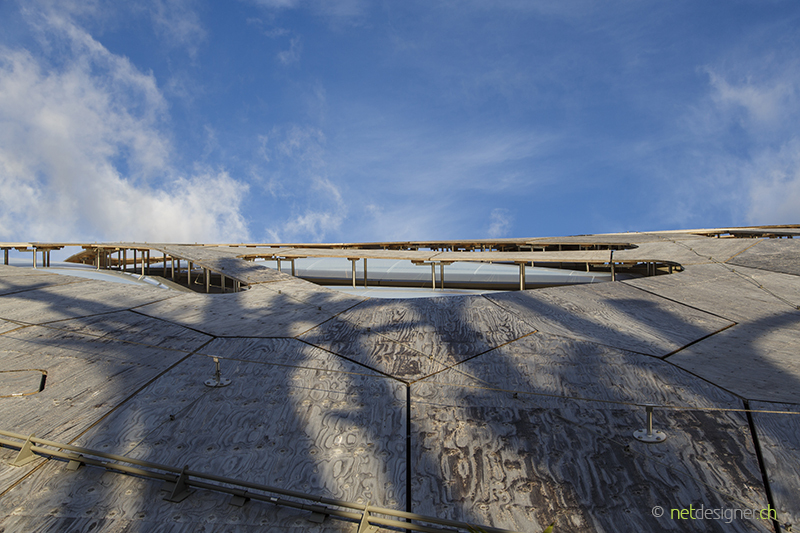 Screws were used in the remaining construction process as well as lager amounts of wood and more nails. 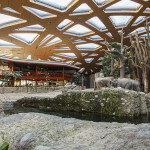 Approximately 500,000 screws of 15 to 85 centimetres each were needed. 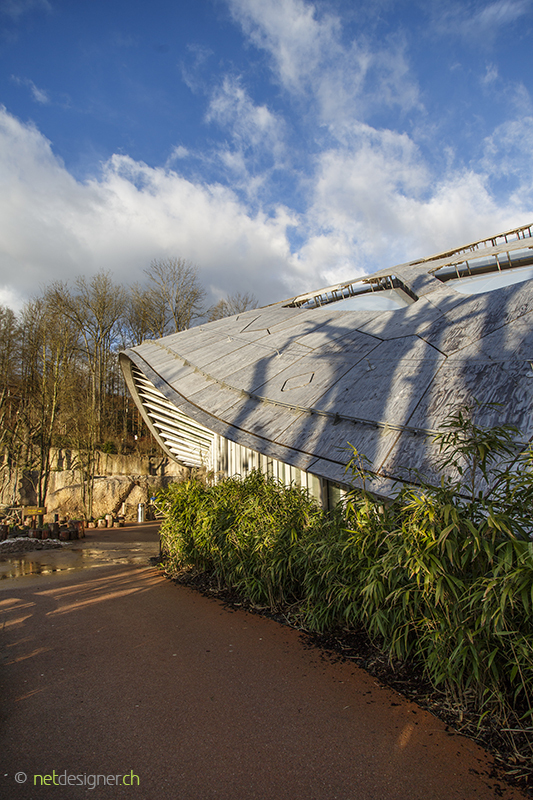 Once completed, the roof is around 90 centimetres thick and weighs around 1,000 tonnes.